1. When did you develop an interest in growing your own food? For me, it really started as a self-awakening journey (maybe 8 years ago) of realising how humanity’s efforts have been affecting environmental, social and political situations since the Industrial Revolution. It was a process of incessant hunger for knowledge by trawling the Internet and visiting the libraries for all sorts of information in the realisation that everything, no matter how chaotic, is interdependent and interdisciplinary. Moreover, I always enjoy and find solace in Nature. I feel Nature as “energetically” rejuvenating compared to spending time in urban spaces like the crowded shopping malls. 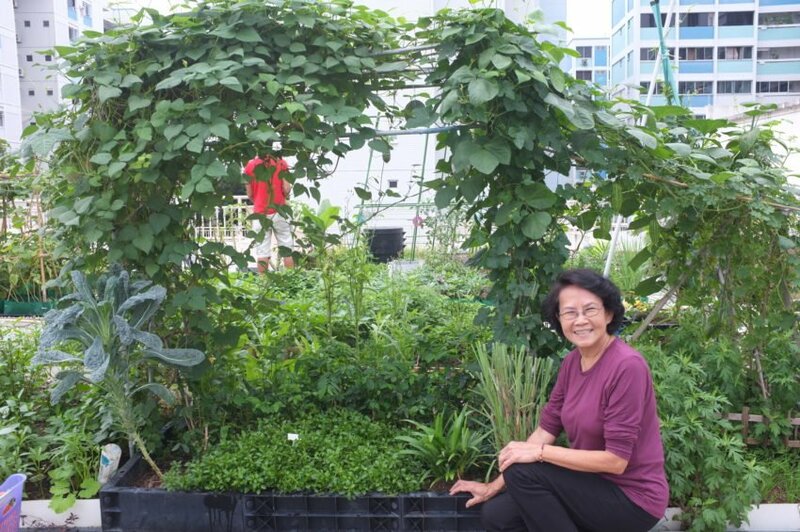 After attending a grow vegetable workshop in 2012, it also helped to spur my interest in experimentation and growing edible plants in small confined spaces such as along the HDB corridor. Here’s a deck of slides on my edibles journey. 2. 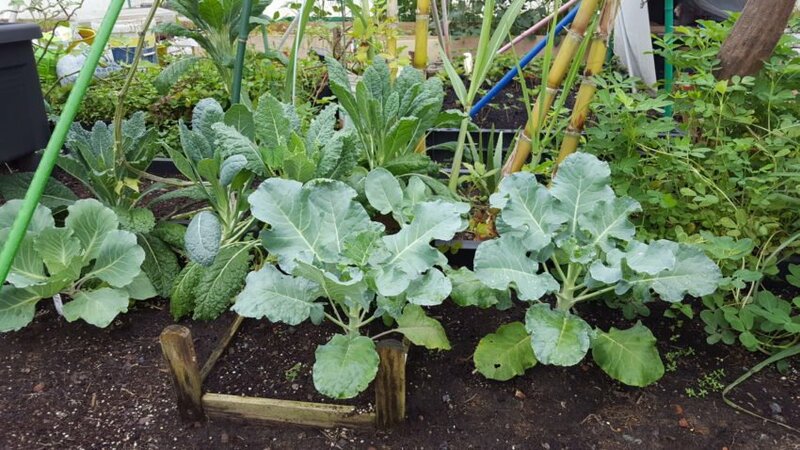 What are some of your favourite vegetables to grow? 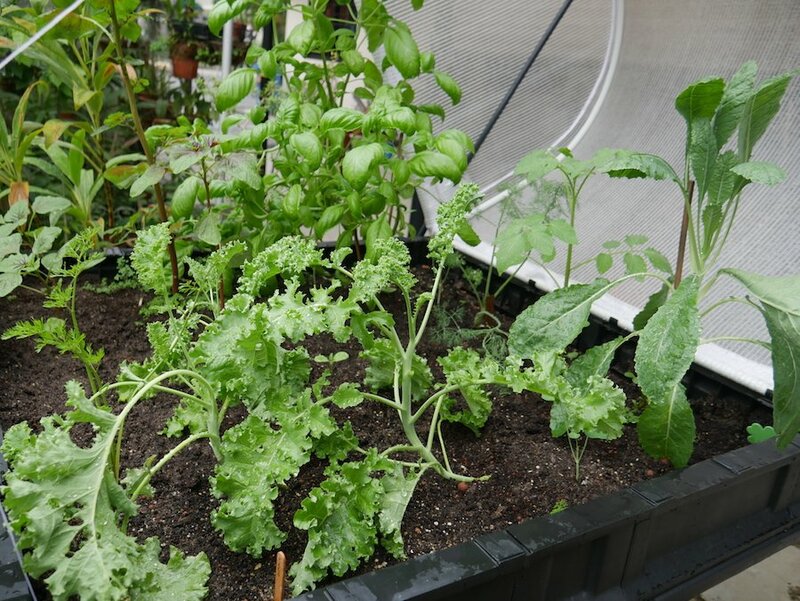 Vegetables that are easy to grow e.g. Kangkong (water spinach), bayam (amaranth), mani cai (katuk), pea sprouts, etc. 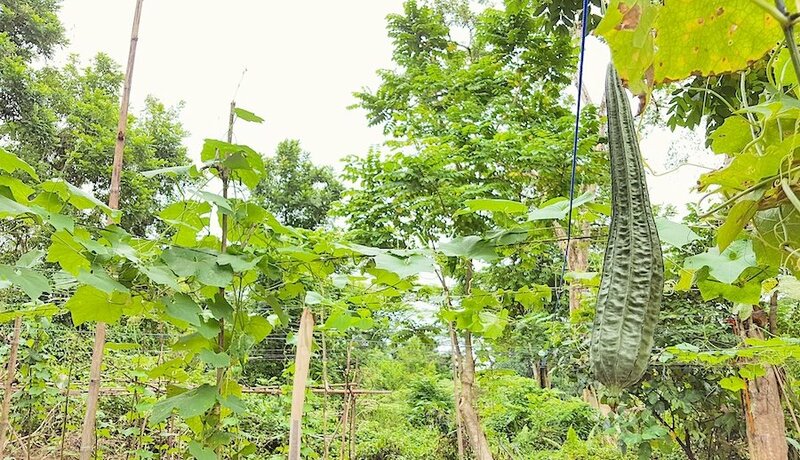 Another favourite is the fruiting plant, okra (lady’s finger) which can be really productive if given proper care. 3. 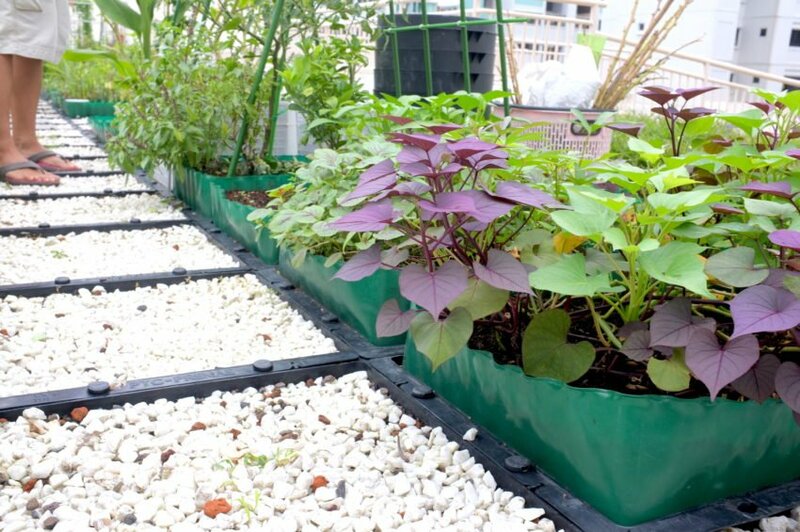 Have you encountered any challenges with rooftop gardening? How have you addressed it? 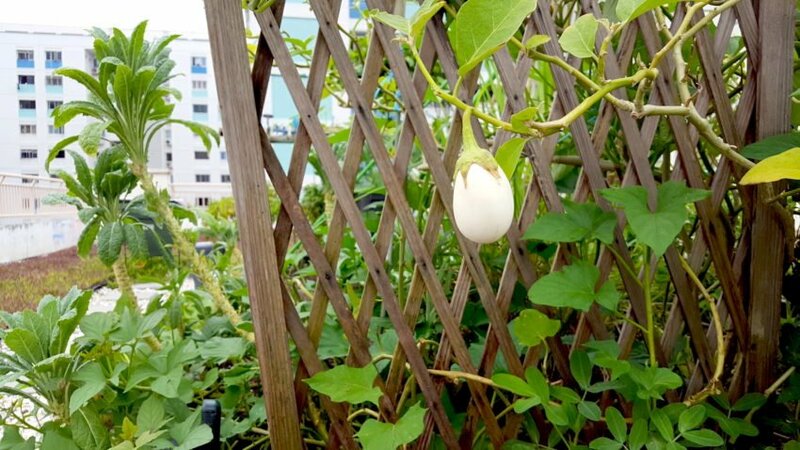 The challenges of gardening on the rooftop are definitely no less than gardening on the ground. Previously, I had a short urban farming stint when renting an allotment at Green Valley farm for close to a year. The main issues are irrigation, soil conditions and pest management. 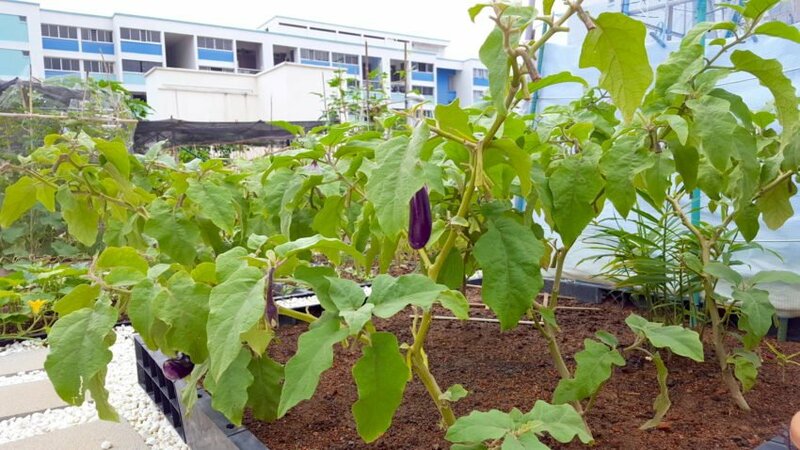 So even on the rooftop, at six storeys high, we do experience common pests like ants, aphids, flies, millipedes and the occasional leafhopper, butterflies, birds, etc. 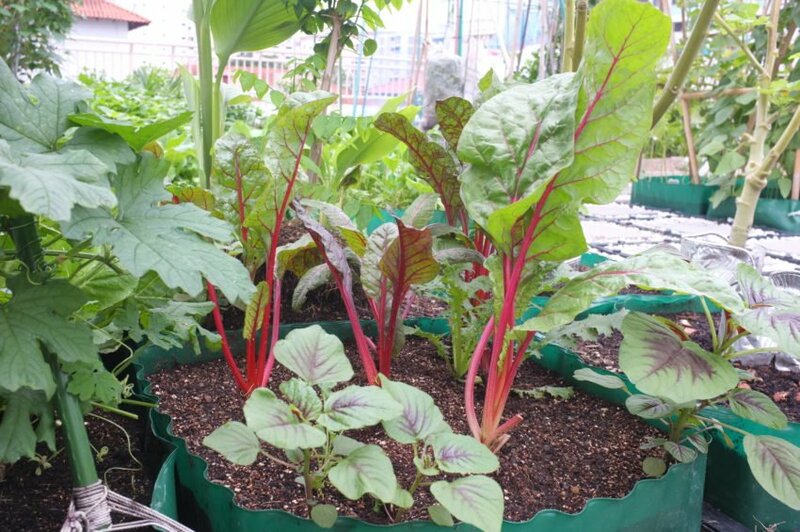 For the soil conditions, it is due to deterioration by repeated harvesting of crops and root-knot nematode issues, which could be attributed to the HDB-provided shallow containers laid on the concrete floor (i.e. heat retention effect). So far, I have handpicked the bugs or experiment in mixing natural sprays e.g. organic soap, garbage enzymes, herbal infusions, etc. 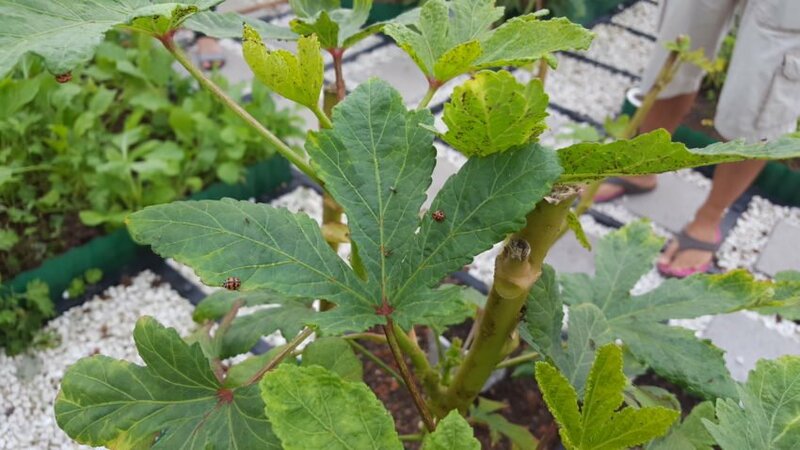 Generally, an organic neem oil with water spray seems to work rather well for most of the pest issues here, but will need to know the dosage and usage to prevent affecting the different plants. My persistent problem has been being unable to lessen or chase away the ants that cause aphids infestation through a number of failed attempts and methods so far. 4. 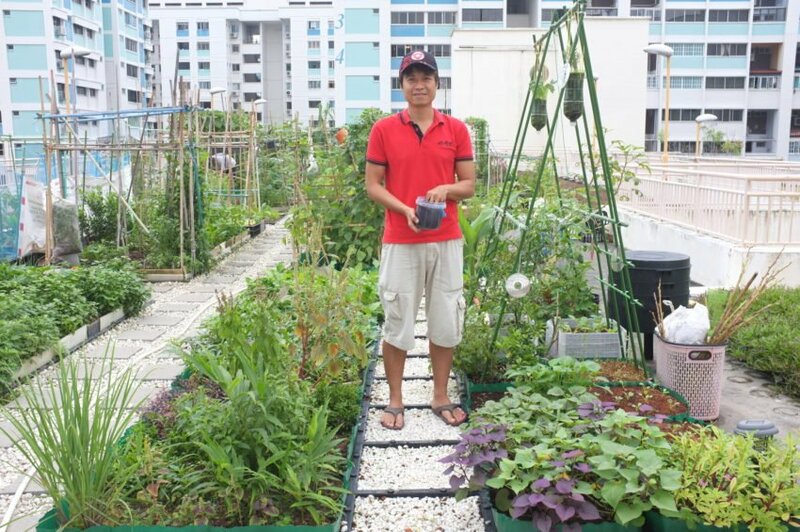 How did this rooftop community garden come about, and how did you get an allotment? 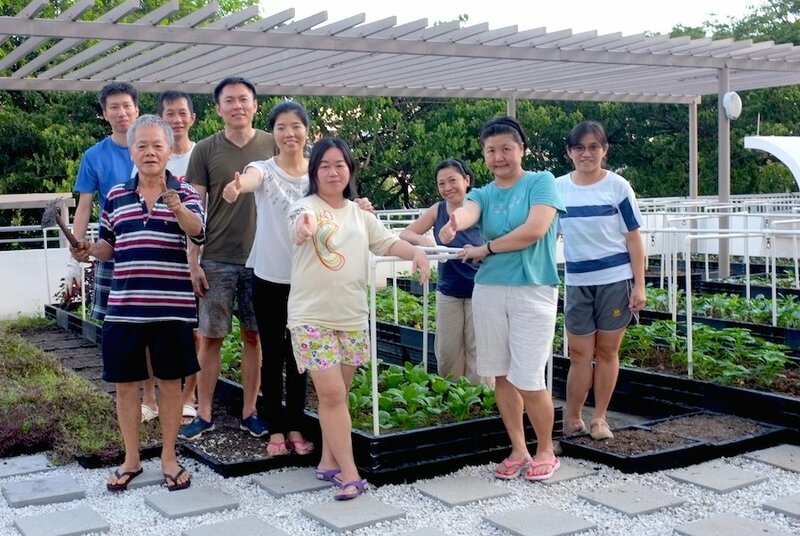 The garden was created due to the drive for creating more community bonding and healthy living spaces by the Nee Soon South’s MP, Dr Lee Bee Wah in September 2014. Related news found here. 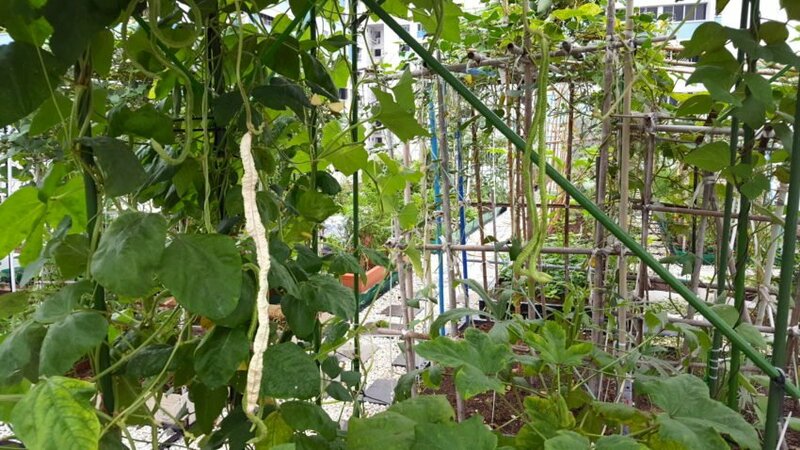 I was lucky to be the second batch of gardeners in getting an allotment, through a resident committee’s balloting, at the beginning of this year 2016. 5. What’s your experience of participating in a community garden been like? especially the senior residents. I understand there are dynamics involved when dealing with individuals in a group setting (or even with the management), which can be positive if everyone can maintain a cordial relationship and seek to settle issues amicably. 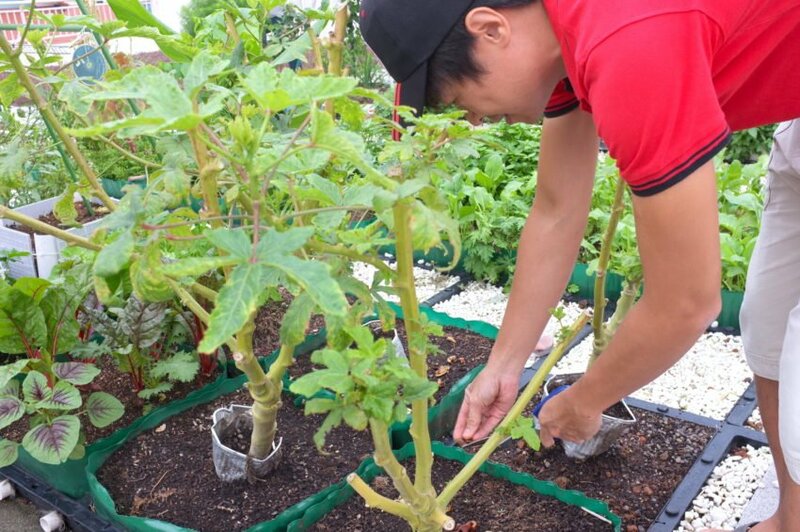 Thus, I am able to enjoy my experience and hopefully to create more positive bonds in the community garden. Also, I think it is a good way/place to improve interpersonal skills and pick up or share practical gardening knowledge. 6. Now that you have completed a permaculture design course, has it changed the way that you plan your garden allotment? The permaculture design course (PDC) has made me so envious of my classmates. Most of them are from different parts of the world who have their own farms to return to start a permaculture design project! The PDC had served as a wonderful toolkit in broadening my horizon on the interdisciplinary and holistic system design approach in creating collaborative or collective solutions with Nature in mind. 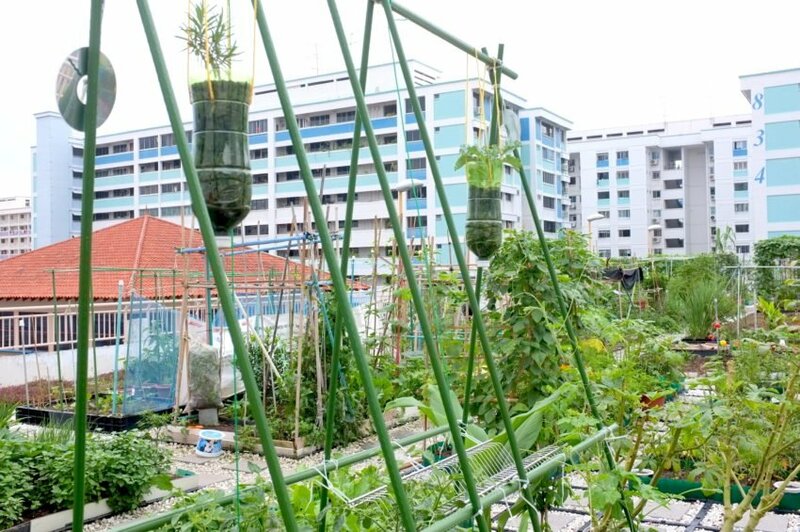 These are not just limited to greening or landscaping of a space but also the principles and ethos of living a more sustainable life in the current situation and time. 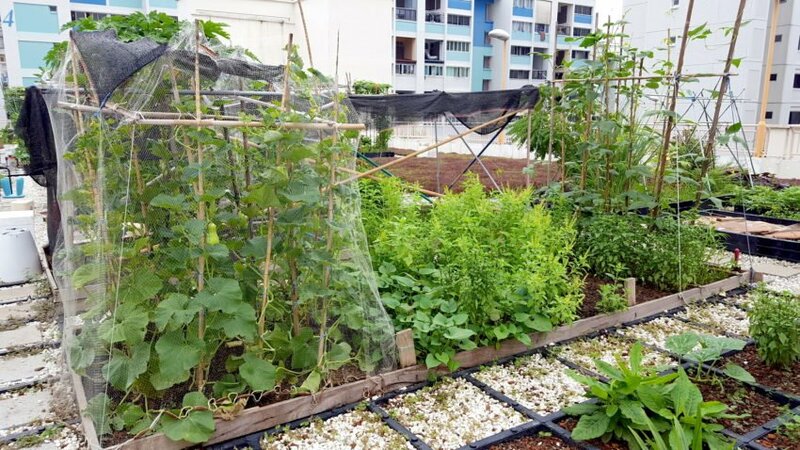 I also believe permaculture design is beyond the biophilic design or biophilia concepts, which are too architectural in principle, in the current implementation for modern development. Thus, the game/change plan is back on the challenges that I am currently facing on the rooftop garden. I am seeking a more harmonious approach by not seeing insects as plainly pests, but in welcoming the biodiversity, and acting on the first permaculture design principle of observing and interacting with the natural systems. This is to acknowledge and achieve the beneficial relationship between human, flora and fauna. 7. Do you have any advice for those who wish to start their urban farming journey and to get involved in their community garden? To follow Chun Yeow’s journey, subscribe to his instagram feed – www.instagram.com/radicpunk! 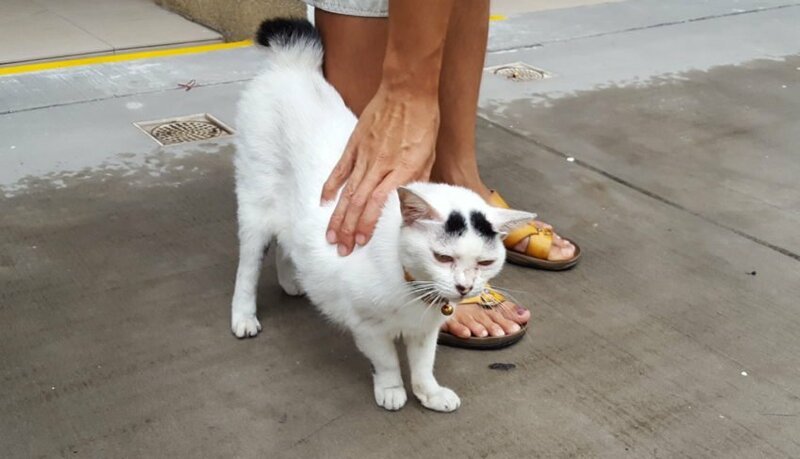 If you get a chance to visit this rooftop garden, look out for this friendly cat roaming in the neighbourhood! Broccoli and kale! These folks are so inspiring!